As part of the deployments, Ensign Shiro Amada is transferred to Southeast Asia to take command of the 08th MS Team—a special squadron of RX-79 Gundam Ground Type pilots. 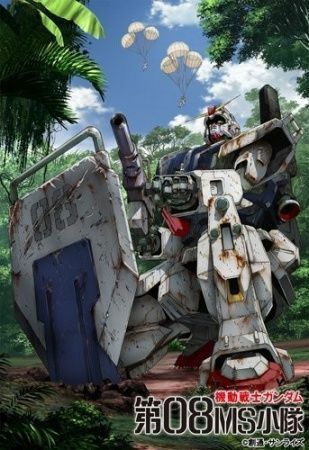 In their first guerilla operation, Shiro's team is tasked with distracting the Zeon forces while Federation ground troops locate a mysterious new Zeon weapon. Everything goes according to plan until Shiro runs into Aina Sahalin, an ace Zeon pilot he met in an earlier battle, during a skirmish. Their reunion weakens his resolve to continue fighting, and now the young commander Shiro must prove his loyalty to the Federation—or be branded a traitor.